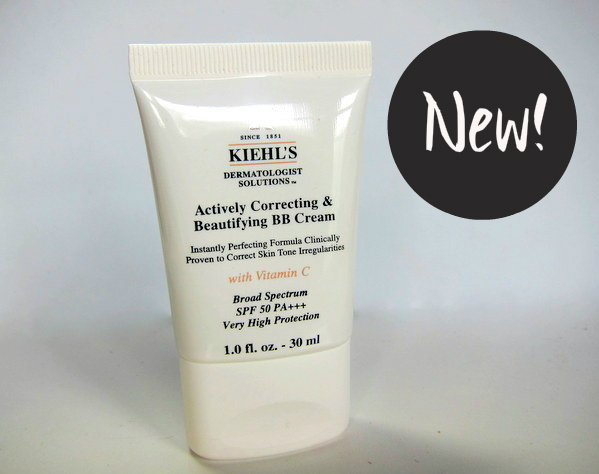 Kiehl’s took their sweet time in formulating their first BB cream offering, and thank goodness for that. Two years in development, the result is a cream with an unusually high percentage of skincare ingredients, that provides not only an instant cosmetic effect, but can also correct imperfections over time. It offers lasting moisture throughout the day, along with broad spectrum SPF50 PA+++ sun protection – the highest SPF I’ve seen in a Western BB cream to date. Suitable for all skin types, this comes in three shades – fair, light and natural – and I have light, which I guess, is medium by any other name. It’s a shame that darker skintypes don’t seem to be catered for. That, however, is where my criticisms end. I really love this cream. I’ve tried so, so many BBs and have been mostly underwhelmed. This one ranks in my top 5 (with, if you’re wondering, Clarins, Estee Lauder and both Dior variants I’ve tried). It’s easy to apply, blending easily for a nice, slightly dewy finish - I set it with powder and find that it lasts till the end of the working day. While the coverage is light and natural looking, it’s enough to cover red patches and even out my skintone. The cream itself is quite thick, but it feels lightweight on the skin and isn’t remotely greasy. And over time, the Vitamin C in the formula seeks to even out skin tone and minimise dark spots, meaning this product genuinely straddles both the makeup and skincare categories. Being a Kiehl’s product, it’s also fragrance, paraben and mineral-oil free, as well as dermatologist and allergy tested for sensitive skin, and it’s non-comedogenic, too. All of which means, in my book, that the €29 pricetag is justifiable, even if that is for a teeny 30ml tube. It’s expensive, yes, but it’s an excellent product, and sometimes you do get what you pay for. Oooh! I like the looks of this one! Is it full of silicones though? You've totally sold this to me Emma & it's going on my beauty skincare wishlist! Ooh this looks gorgeous on you, you're positively glowing! Oh wow Emma! I do see the difference. Kiehls makes wonderful products. Glad they took their time with this. Hope the come out with more shades. Hi dear, with you mentioning that this BB cream ranks so highly with your personal top 5, It must really be good, pity we don't get the range here. Wishing you a great and productive week ahead hun! Wow, I am loving the results. Holy Moly! I need some of this in my life! The result is lovely - and very natural. I trust pretty much whatever Kiehls does. This looks so good on you, your skin looks amazing!! I wonder how it would fare on my super-oily skin, though?